This is one of those desserts that you can make in 5 minutes, put in the fridge overnight, and impress every person ever who tastes it. You’re welcome. 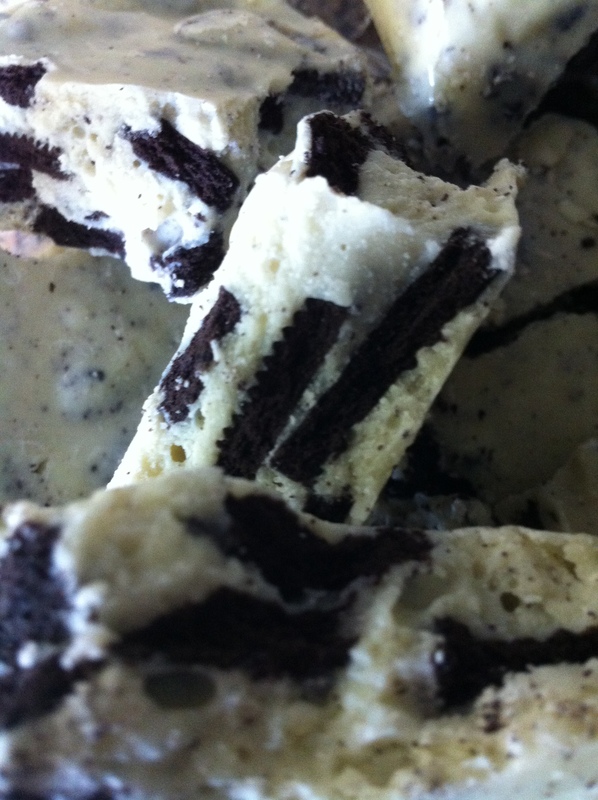 Simple melt the white chocolate , stir in your Oreos (I cut mine into quarters) and spoon into a pan lined with parchment paper. Refrigerate for 2 hours or until the chocolate is solid again. Smash it into bits and serve! The beauty of this recipe is that it can be made with any chocolate!